Saina Nehwal beats compatriot P V Sindhu 21-18, 23-21 to win the 26th gold for India. India's top badminton stars set up the much-anticipated women's singles summit clash at the Commonwealth Games in which Saina Nehwal defeated PV Sindhu 21-18, 23-21 to win the gold, while her 22-year-old opponent took home the silver on Sunday. The 28-year-old also became the first Indian badminton star to win two Commonwealth Games gold medals. Both Saina and Sindhu had reached the finals in rather contrasting fashions. Saina was pushed to the brink by 2014 silver medallist Kristy Gilmour of Scotland in their semi-final match. It took 68 minutes for the match to finally finish 21-14, 18-21, 21-17 in Saina's favour. Sindhu, on the other hand, made light work of defending CWG champion Canada's Michelle Li, winning the match in 28 minutes. 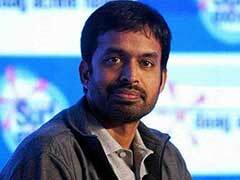 Their match will be followed by Kidambi Srikanth taking on Malaysian great Lee Chong Wei in the men's singles final. Saina had won the first game comfortably but she was made to work for the title in the second game. Saina came all guns blazing and looked the more aggressive of the two from the outset. She was able to convert her aggression into points, going into the mid-break of the first game with a handy 11-6 lead. Sindhu did gradually improve and reduced Saina's lead but the latter held on and took the first game 21-18. The second game was a complete contrast to the first as Sindhu showed some fire and pegged back Saina with some lethal smashes. She went into the mid-break with a 11-8 lead and seemed the match would go into a decider. Saina, however, had other ideas as she launched a fierce fightback to eat into Sindhu's lead. She won a marathon rally with a down the line smash to make it 18-19. Sindhu looked visibly tired and that showed in her play. Saina won her first gold medal point at 21-20 but Sindhu managed to survive. However, at 22-21, Saina won her second match point and this time Sindhu could not deny her compatriot as Saina sealed the match and the gold. The 2010 Delhi Games champion Saina and 2014 bronze medallist Sindhu had clashed at the Senior National championship finals last November with the former having the last laugh after a gruelling match. 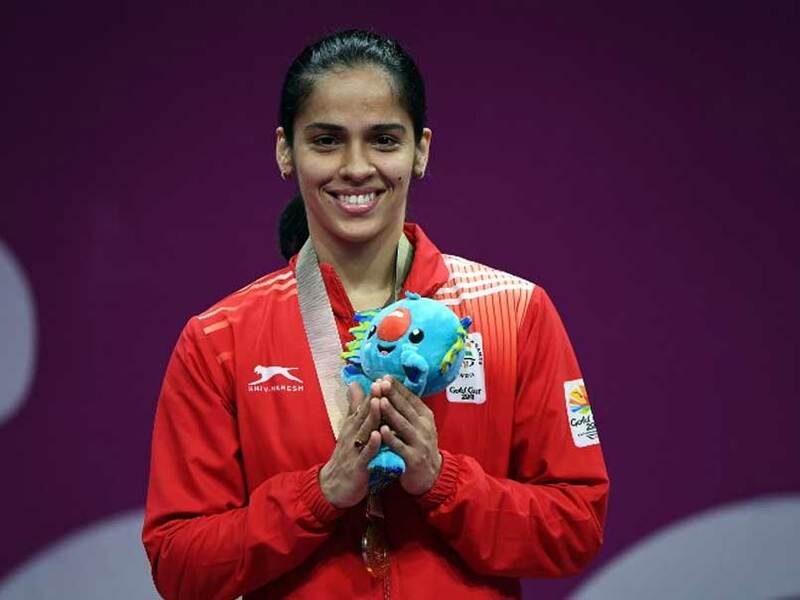 In the BWF events, Saina beat Sindhu 21-13, 21-19 in the 2018 Indonesia Masters and in the 2014 India Grand Prix Gold Saina defeated the Olympic silver medallist 21-14, 21-17. However, in the 2017 Yonex India Sunrise Open, Sindhu registered a 21-16, 22-20 win over the Olympic bronze medallist. Earlier this year, Saina bettered her record against Sindhu by beating her 21-17, 27-25 in the Senior Badminton National Championship. The newly-crowned world no 1 Kidambi Srikanth also progressed to the final of the men's singles after defeating 2010 Commonwealth Games silver medallist Rajiv Ouseph of England 21-10 21-17 in little over half an hour.